AC24@ISEC – a big success! Last week, we exhibited at the Irish Security Exhibition (ISEC). Over the course of the excellent two day event we got to meet many current and potential customers aswell as a whole range of stakeholders in the security industry. Click here to see an extended interview with our Commercial Director Aaron Mooney where he discusses all aspects of our services provision, developments in the security industry and our exciting plans for the future. ISEC 2015 – We are ready to go…. Visit us at stand D15. The show is Ireland’s Security Expo, and is being held in CityWest Hotel Dublin from 11:00-19:00 tomorrow, and 10:00-17:00 on Thursday. ISEC 2015 is Ireland’s only Security and Fire Exhibition and features companies involved across the complete spectrum in the security industry. ISEC 2015 – Visit us at stand D15! 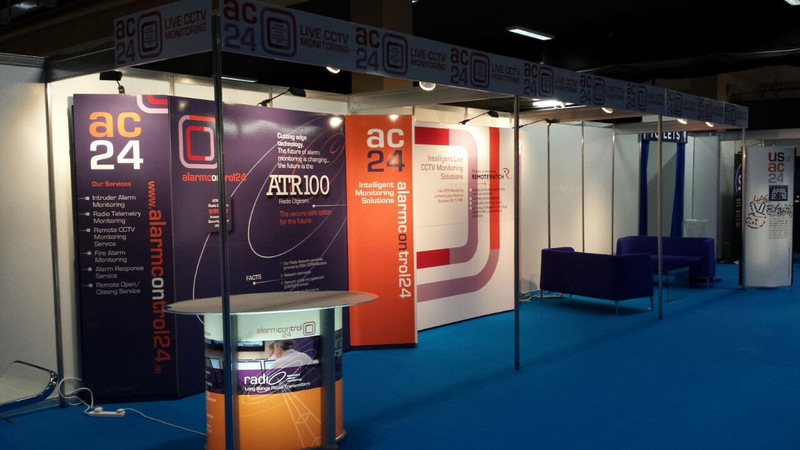 AlarmControl24 will be exhibiting at ISEC 2015 in the City West Conference Centre, Dublin on Wednesday 25th and Thursday 26th March 2015. Visit us at stand D15! ISEC 2015 is free to attend however you must pre-register online or you can register on arrival at the registration desk, if you bring your business card it will speed things up for you. We are delighted to announce a new addition to the AlarmControl24 team! Derek Langan has been appointed as nationwide Sales Manager. Derek is a well known and respected security professional in Ireland having worked for over 25 years in the industry and joins us as we embark on the next stage of our development. Derek will be responsible for continuing the strong growth of our CCTV and alarm monitoring base aswell as strengthening our existing relationships with alarm companies throughout Ireland. Best of luck Derek! The Irish Security Industry Association (ISIA) hosted the ISIA Awards on Saturday 1st November at the Powerscourt Hotel. The awards were attended by over 230 individuals from the private security industry and senior management from a variety of industries. Also in attendance were members of the Private Security Authority, An Garda Síochána and His Excellency, Dominick Chilcott, British Ambassador to Ireland. The MC on the night was Sinead Desmond of TV3. As pointed out by ISIA President, Sheenagh McCullagh “The ISIA Awards gives us an opportunity to celebrate our industry leaders and their people”. McCullagh thanked all those members “who came to the event to celebrate their employees success” and she paid tribute to all those who submitted nominations this year. “It is evidence of ISIA member’s dedication to excellence, that they take the time to consider those individuals and teams that help make their company a leader in the security industry”. There were ten awards presented on the night. There were four finalists selected for this award; Alarm Control 24, All Security Mobile Shredding, Brinks in Partnership with Arantico, and Stanley Security. The award was sponsored by Bosch and the winner was Alarm Control 24. “The submission was based on their development of a nationwide radio network for the monitoring of security systems”, stated Sarah O’Donnell, Communications Director, ISIA. O’Donnell added “it was clear from the selection process that not only with this development, but in general, innovation is part of the day to day culture of Alarm Control 24”. We are delighted to announce that our radio network has been awarded the “Innovation in Security Award 2014” from the Irish Security Industry Association (ISIA). The award recognises innovation in solving complex issues and problems pertinent to the security industry in Ireland. In the case of the AC24 radio network it confirms our belief that our radio monitoring solution is the answer to the ongoing issue of malicious telephone line cutting and GSM/GPRS jamming. “The submission was based on their development of a nationwide radio network for the monitoring of security systems”, stated Sarah O’Donnell, Communications Director, ISIA. O’Donnell added “it was clear from the selection process that not only with this development, but in general, innovation is part of the day to day culture of Alarm Control 24”. We would like to thank of all our staff for making the radio network such a resounding success. For more information on our radio network please contact aaron.mooney@alarmcontrol24.ie, visit www.alarmcontrol24.ie or call 01-2923700 .